Are you a dreamer? Do you find yourself dreaming about a better life? Like during rush hour, while walking the dog or waiting in line at the store? If you daydream about changing certain circumstances of your life and living a better one, I can help! When it comes to big dreams, so much of the time those dreams are tied back to money. Money is a tool in your life, and if you use the tool correctly, it can buy you the freedom to do the things you dream. 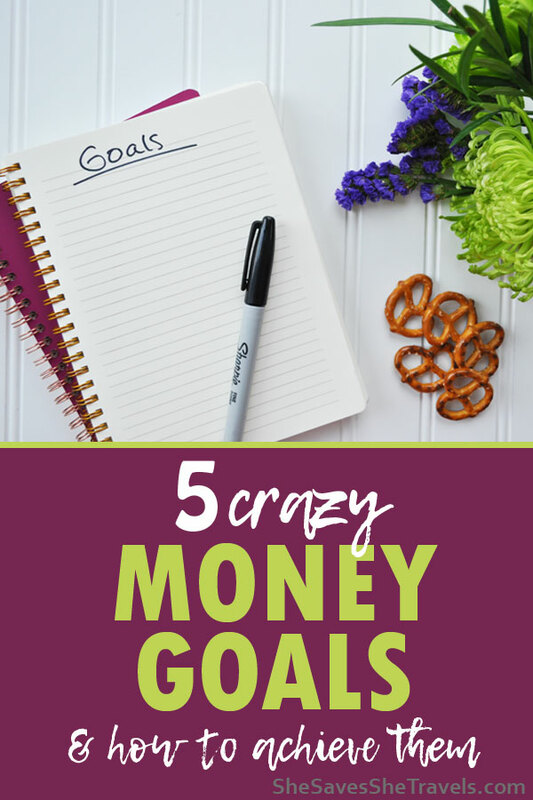 So since we’re all dreamers here, I created a list of 5 crazy money goals and steps to achieve them. I’ll explain. So if you have big dreams, setting and achieving money goals might just be a place to start living your dreams! Incredible money goals to set, if you’re dreaming big! How would your life change if you doubled your income? Would you have more financial security? Take more vacations? Contribute more money or time to a greater cause? Whatever your dreams are, doubling your income can probably help. Here are some methods to double your income. 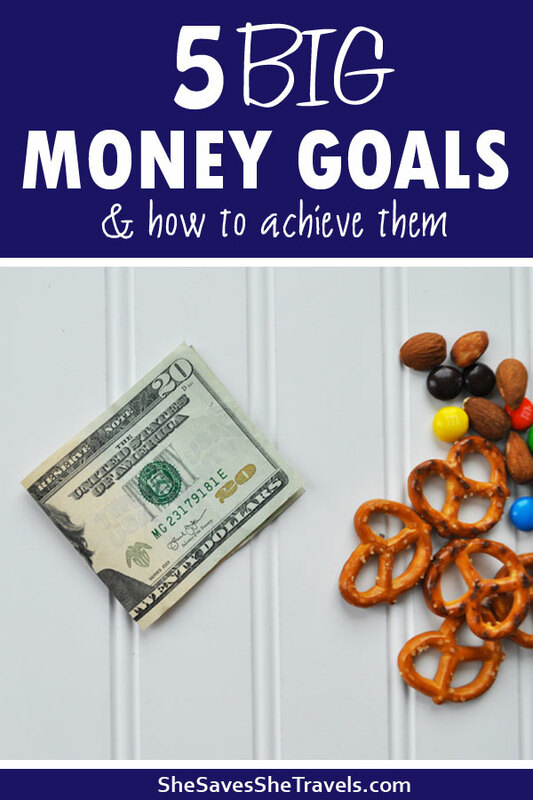 Combine a few of them to hit your money goals! Start a side hustle. Think about anything you can do to earn extra money: walk dogs, clean houses, drive for Uber – whatever! Get a higher-paying job. 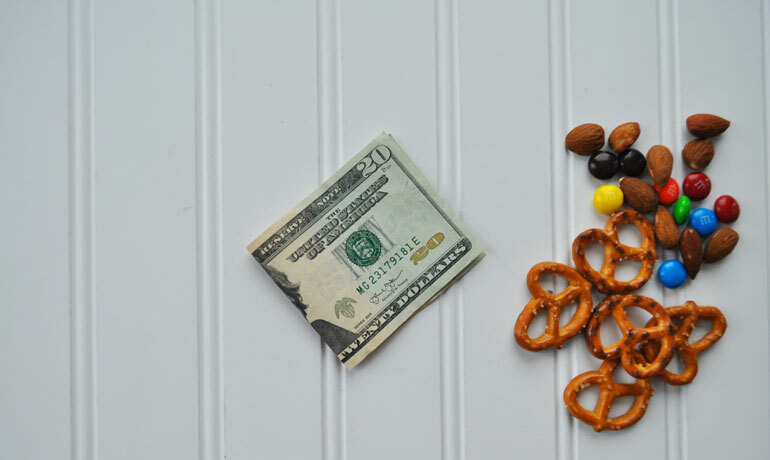 Ask for a raise at work (if you’re deserving of course) or switch to a new company. I learned early in my career that if you’ve been at your company for awhile and have been promoted, sometimes you’ll actually earn more by moving to a new company with the same title. Get additional training or schooling to start a new profession. If you’re making the top of what you can for your field and desire to make more, consider changing careers. Start a business. If you’re crafty, try an Etsy shop. If you love to throw parties and socialize, join an MLM (multi-level marking) company on the side. Follow your passions and figure out how to make money on it. Pretty much everything exists on the internet today so just make the leap! Sell your stuff. Depending on what you own and what you’e willing to give up will determine how much of an impact this one can make on doubling your income. I’m going to guess that there’s something you own that’s no longer of value to you, but is worth something for someone else. Post it online or have a yard sale. These days there are so many ways to sell things that it’s not really that difficult! Friends, this one sounds impossible…. but it’s not! Especially if you’ve doubled your income like #1 above suggests. This big money goal says 50% goes into your savings and investment accounts, padding your future for your big dreams! Plus think about it this way, if you’re saving 50% of your income, you’ll be able to retire way earlier than you would if you were only saving the bare minimum. The absolute easiest way to make this happen is to keep your expenses extremely minimal while diligently tracking your spending. I’ll be honest, I have not crushed this goal. But I know people who have done this when a couple first gets together or first gets married. They’ll live on one person’s income completely, and save the other income for their future. To have zero debt. Like you’re not paying anyone for anything that you’ve ever borrowed. That means nobody gets to make money off of your money anymore. No more paying interest! To achieve this goal, you’ll pay off every credit card and student loan you’ve ever had. Your car is paid off (and friend, that feels amazing!). And – gasp, your house is paid off! 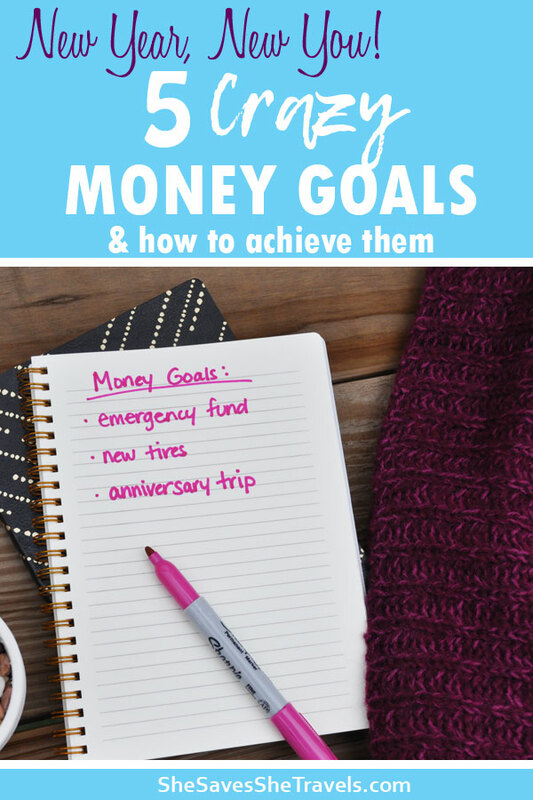 This money goal is most attainable by creating a large gap between your income and your expenses, and using your money wisely to pay down your debt. Saving more money every single day drives savings and increases the amount you can pay towards debt. Here are 55 ways to save money. Can you imagine the financial freedom you’d have if your entire income goes to things you want to spend money on? Ok, you’ll still have necessities like an electricity bill, but you get the point. How much would have to be in your bank account to cover your expenses for 6 months? Talk about a crazy money goal! 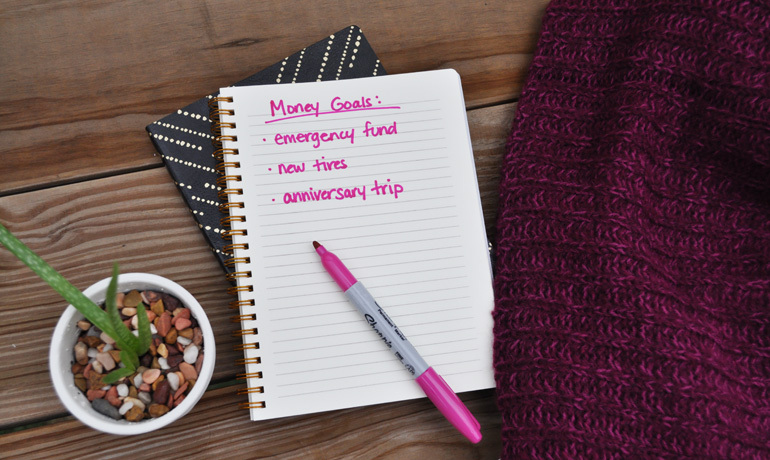 Most money experts agree that you should have between 3 and 9 months of expenses in an emergency fund for a rainy day. I recommend 6 months, splitting that right down the middle. So if your monthly expenses are $2,000, you’ll need $12,000 sitting in a safety account. Imagine if you had that large lump sum in your account and you lost your job, or had a terrible accident that put you out of work for months on end, think of how happy you would feel to have saved it. 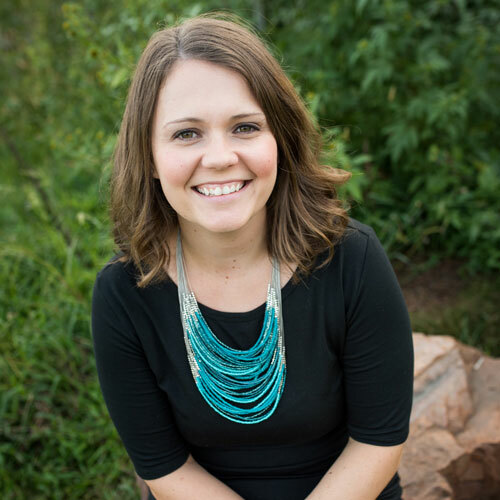 Reasons for an emergency fund varies, but you can find my top 10 reasons, here. And if you’re looking for a step-by-step guide for creating your emergency fund, here it is. Ok, don’t faint at this one. It’s really not as difficult as it seems. Especially if you’ve achieved #1 or #2 above! Imagine a world where you can walk on the car lot, pick out the vehicle of your choice and just pay for it without all the financing involved? 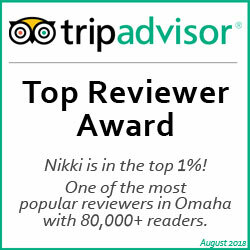 It’s truly a a great experience! There are so many ways to save money for your new car, but here is a trick that has worked for me in the past. Save for your next vehicle like you’re paying for your current one. Here’s an example. Let’s say you pay $400 per month for your existing car loan, and you’re getting close to the payoff date. After that loan is paid off, keep putting $400 away each month, toward your next car. I recommend opening a separate savings account specifically for this savings. Then don’t tap into it for any other reason! Friend, I am totally a dreamer (you should see my travel bucket list). If you’ve made it this far in the article, I’m thinking you’re a dreamer, too. We all know money can’t buy happiness directly. But it can buy freedoms to live your best life, the life you dream of. So whether that’s traveling the world or volunteering every day at your local animal shelter or anything in between, conquering these crazy money goals might just be the win you need to start living better. Hi! All great tips! I love how people are saving 50% of their income and I wish I would have done that a whole lot sooner. I think a lot more of us should dream big and set big goals. It may be a little sacrifice now but in the end, you are a lot better off and can possibly retire early which is a big goal of mine :). Thanks Kari! I’m in the same situation – wishing to retire early and know saving a significant portion of your income can help you get there. Good luck on your savings journey! Thanks for stopping by the blog! Thank you so much for these tips! Definitely will be coming back to these lol. Saving more for travelling is my main goal, and I just started an MLM as well as a part-time job, so hopefully soon I’ll be saving 50% of my income! We did 4 of those things in 2018!! We don’t have the need for a second car at this point, but will be buying it in cash when we do!